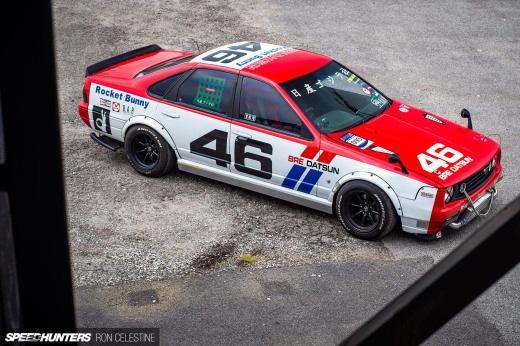 Meet Jamie Rogers, the owner of this 1988 Nissan A31 Cefiro. Back when I started taking photos, this particular chassis along with the C33 Laurel was quite popular in Australia. However it seems these four door sedans are becoming rarer by the day. 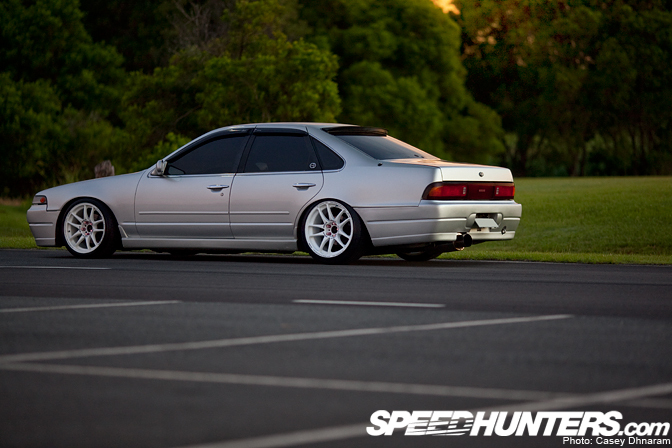 Just like the majority of cars that make their way onto Speedhunters, this Cefiro was spotted at a local meet at the end of last year and has been screaming out for a feature ever since. 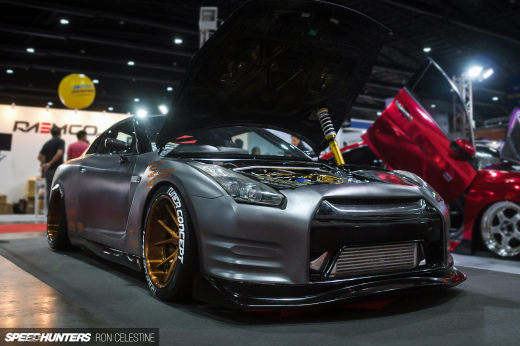 As you can see this is no ordinary RB20 A31. 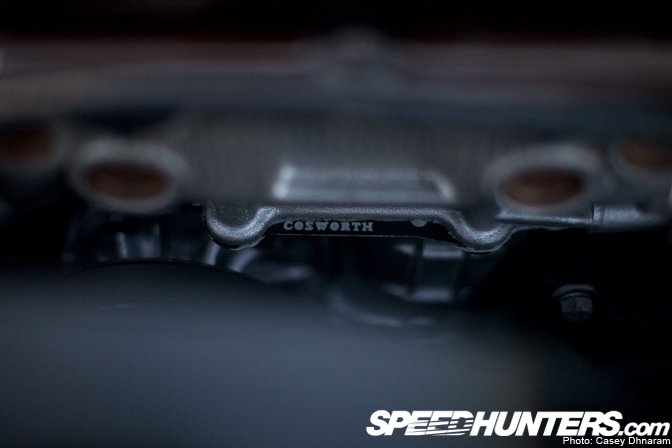 …and a Cosworth headgasket which Jamie pointed out. ARP head studs, upgraded 264/264 11.5mm HKS cam gears and 550cc injectors which will soon be upgraded to 1000s. 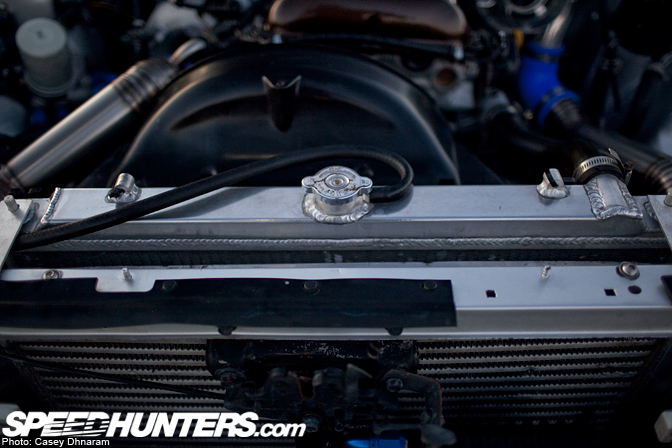 …with a .63 rear housing and Turbosmart 48mm external wastegate hanging off a 6 Boost manifold which leads down to a custom 3″ dump back exhaust. 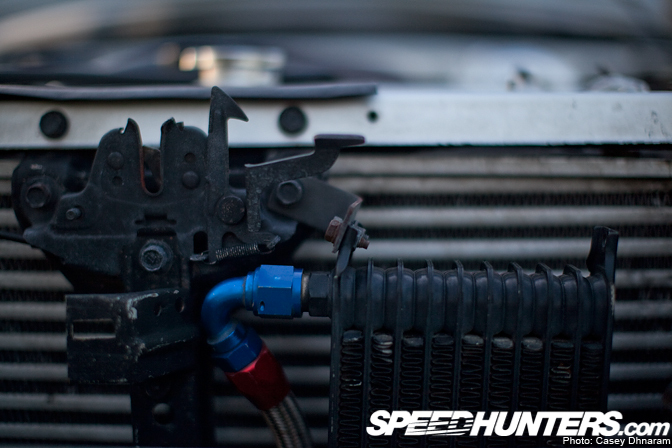 …and oil cooler which is all managed through an Apexi Power FC. The large four door is sitting on a local set of coilovers from Racing Logic with 9kg rear springs and 8kg in the front. 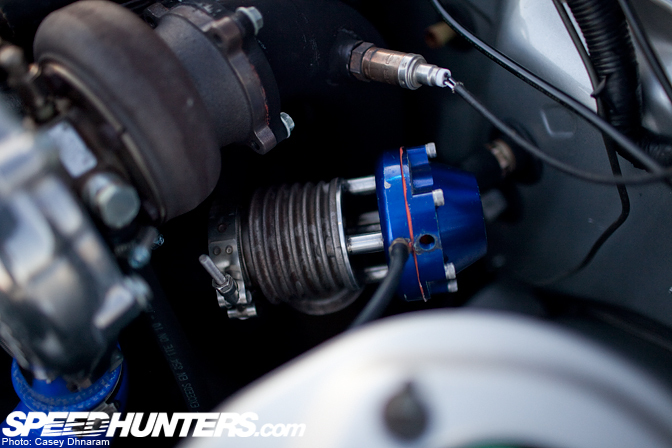 In the front end the tie rods and lock spacers have been refreshed with parts from Ikeya Formula. Also, the toe and castor arms are from KTS. Giving the front tires a few degrees of aggressive camber are a set of Cusco adjustable camber arms. …which sum up to be a perfect rear fit underneath the guards. The fronts however are a tad smaller, 17×9 on 215/40s. The staggered stance definitely sets off the car. 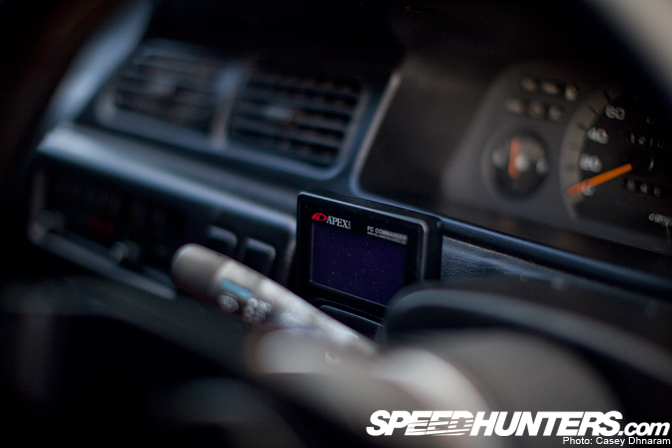 Inside and out the A31 has had a complete series 2 conversion along with the Autech edition bodykit attached. A Viva Garage roof spoiler has also been added for a subtle, personal touch. 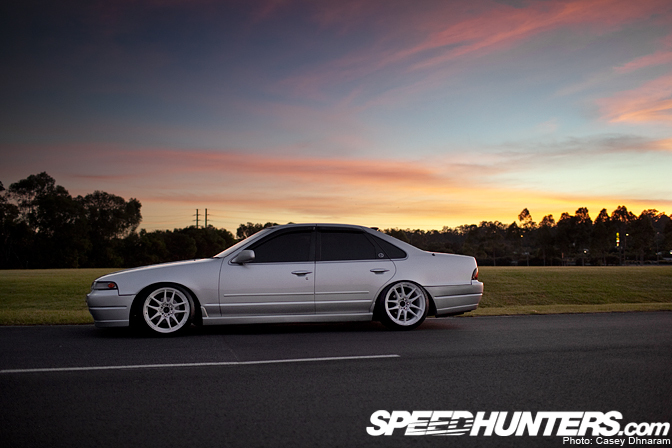 Even the factory, genuine Cefiro weather strips remain. 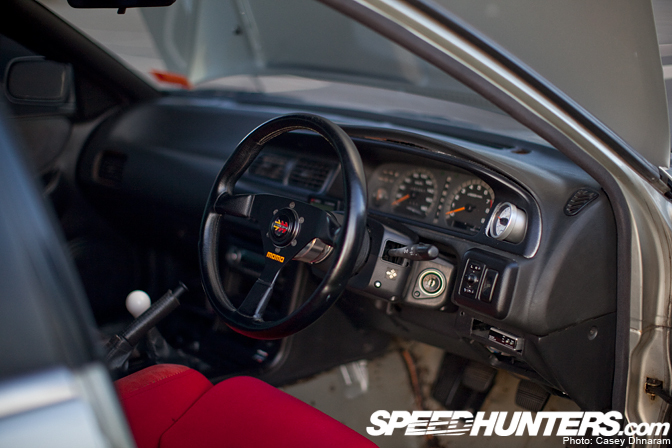 Inside you’ll notice a subtly gutted interior with the bare essentials for the perfect mix between a street and drift car. The Power FC hand controller is definitely a must. Jamie decided to avoid going the path of a Nardi steering wheel and stuck to pure 90s styling – Momo wheel with a quick release hub. 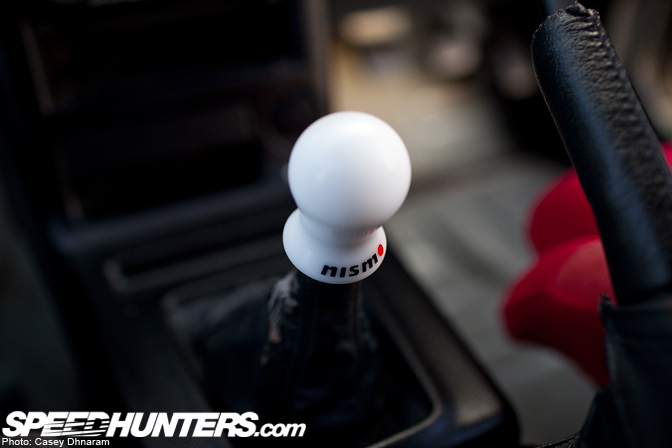 The Nismo shifter is also a nice, modern touch. 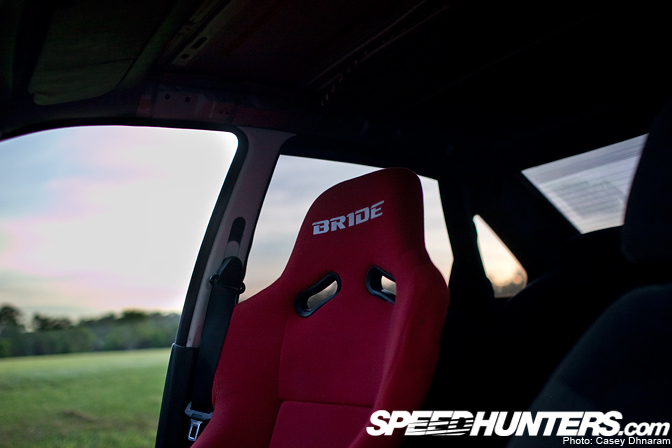 The drivers seat has been taken over by a trusty Bride Zeta 3. What a perfect medium for a daily driven 4 door Nissan sedan. Nice car, but what about the other side of it?! Okay, I've always wondered on this... do people actually run these big turbos without an air filter, or does it just get pulled for the photo shoot to showcase the prettiness? i have always wondered the same Marc. im sure if someone was spending that kind of money though they would assure it but preventing any damage to it. Definitely need more articles like this! Lots of awesome photos together with great writing. Loved it ? It would definitely have a air filter on it, It is very easy to take them on and off with a silicone hose and clamp. Very nicely presented Ceffy thanks for the article. hmm..not sure I'd ever give up a RB28 for a SR..
Makes me miss my rb25 A31 to death, why did I ever sell!!!! Came with RB20DET; Swap for SR20DET. IM CONFUSE!! 6th photo from the bottom (the photo of the steering wheel) - it's a little hard to tell but it looks like he's missing the plastic surround for the passenger air vent, just like every other Cefiro in the world! I love Cefiros and this one looks really nice, but I would definitely keep a RB under the bonnet. Still, it's a nice build. haha yeah that's a good question mark. and yeah, what's wrong with the right side?!? His reason to swap to SR is obvious; to pull the weight distribution as far backward possible for better handling in drift. the roar is not as thrilling as RB, but will pull about the same output, with less weight. 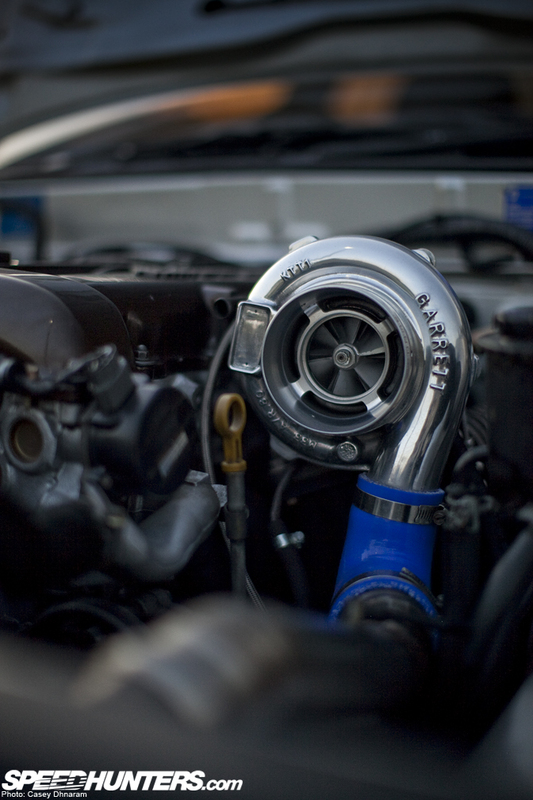 its awesome , buy hey wheres the RB20 love?!.. its a great balance of power and price.its all i could afford on my budget when i was a young'n.. speed hunters needs to do a RB20 UNDER DOG spot light... thoughts? HA!, Love those! Funny, when I was living in Bahrain my parents used to have one except it was called an Altima there. Dont ask me what engine was used in it, I was 14 and didn't care then. Epic car! However the article makes it sound as if the new owner has done all the work. He just bolted a bigger turbo on to an already well known car. Alex deserves the credit for this feature. Hot car. Looks very similar still to when alex owned/built it. turbo/manifold looks to be the only real change. unique...something not everyone is doing. but BAD paint on the kit, for a speedhunters featured car. @scott where are you and your ignorance from exactly? This are the type of posts we should get. Not some half assed shoddy articles mike commonly posts. i think you mean cam shafts? Love the A31. Wish Nissan made the A32 Maxima a rwd. Nice car. I love . ! ! ! ! ! ! !